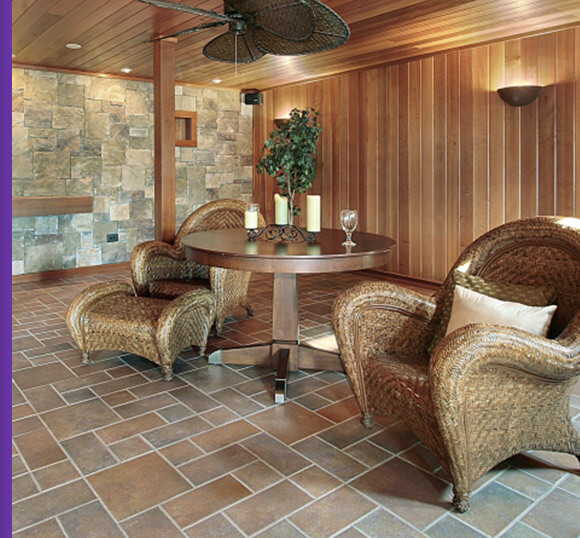 Tile is a beautiful and durable alternative to carpet and wood. While it can transform the aesthetic appeal of any room, you may have noticed that your tile does not look at as good as it once did, but why? No matter how many times you sweep and mop your tile, dirt and debris get trapped in your grout, changing the way it looks. Whether in your kitchen or your bathroom, all tile will need restoration work in time. That is why we are here to provide you with quality, affordable tile and grout cleaning in San Antonio and surrounding areas. The nature of tile will show discoloration and deterioration, as will the grout that binds your tiles together. With Steam Master Cleaning and Restoration’s tile cleaning services, you do not have to worry about what has caused these stains and discoloration. We believe in taking care of everything for you. From steam cleaning to tile cleaning, we are the team to trust with all your floor cleaning needs. When it comes to floor cleaning, tile is generally thought of as an easy option to clean and maintain. Just go over it with a broom or vacuum to clear up any crumbs, then swipe a mop across it. It’s a pretty nice perk to be able to clean part of your home so easily after all the attention and care your carpets demand. But, just like your carpets, your tile and grout do occasionally need some extra TLC. With cement-based grouts, the color can be changed depending on the materials mixed in. The color will generally fall in the white to medium gray range, with additional fun color options like blue or red slowly becoming more popular. Since grout is a porous substance, however, that color isn’t guaranteed to stay pristine. In fact, if your tile floors were already in existence when you moved in, you may have started with white grout and not know it! Just think about what that means in terms of the accumulated dirt and grime surrounding your tiles. Wood floors stay together thanks to the tongue and groove sides, combined with a healthy dose of small nails. Carpeting, likewise, gets tacked down to keep it in place. Tile flooring isn’t like that. The only thing keeping each tile in place is the durability of the grout cementing it to the subfloor and to surrounding tiles. If you want your tile floor to stay together and remain in good shape, it’s important to give it proper care and attention. By extension, that care will go a long way toward helping your tile floor last longer. When grout isn’t well maintained, that typically opens the door for damage. 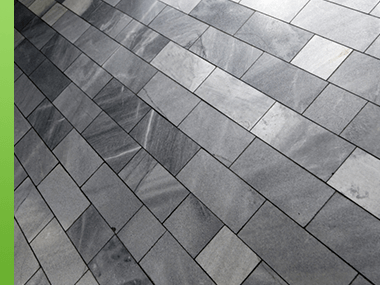 Grout damage, as you may imagine, can quickly leads to tiles cracking or peeling up. From there, any problem areas open the door for moisture and grime to work their way deeper under and between tiles to spread the damage. And, here in San Antonio, the moisture is a major concern. The humidity in the air combined with the particles caught up in the grout can lead to mold and mildew issues, which may further break apart the grout. Once your floor reaches that stage, it may not be possible to do just a small patch of repair work; you may need to pull up the entire floor, carefully scrape grout off tiles to reuse them, and replace the whole thing. Routine tile floor cleaning and maintenance is a great way to stave off those issues for as long as possible. Keeping your tile floors in good condition should come with a couple different levels of care. The base layer is providing regular, consistent cleanings. Yep, that means making sure you grab the mop and bucket at least once a week. Use a tile floor cleaner to clear away grime and gunk from the tiles and from the surface of the grout. We suggest at least weekly cleanings because the grit and grime that collects from foot traffic can abrade grout and cause it to wear away more quickly. Spot clean as needed. Specifically, when liquid spills slosh across the floor, be sure to soak them up quickly. It’s a good idea to go over the spill with warm water and/or floor cleaner and a mop to be sure all of the residue is removed. It may not seem like much, but even the sugary residue from a spilled soda can be enough to wear away the finish on the tiles themselves, as well as staining and wearing away the grout. On top of the routine care, tile floors also need an occasional deep-clean from a professional floor cleaner service. We provide specialized cleaners and high-end tools to help clear off all the accumulated gunk on your tile floor — including your grout. We’ll start by inspecting the state of your flooring, then select the right tile and grout cleaner for the type of tile and the level of damage. We use the latest in steam cleaning technology to break up the grease and grime without damage to your flooring. After a tile and grout deep-clean, you may be surprised by the color of the grout that’s been hiding under all that gunk! There is no set time limit regarding how frequently you’ll need a professional tile and grout cleaning. It may be as frequent as you have your carpets steam cleaned, or it may not need to happen as often. It will largely depend on the state of your tile and grout, plus the amount of traffic. For example, a family with dogs may need to have their tile and grout cleaned more often because of the mud their pets carry in on their paws. Two good indicators are to keep an eye on the tile’s sheen and the grout’s color. As your floors start looking dingier and grayer despite mopping, that’s a good sign its time for the professionals to step in. 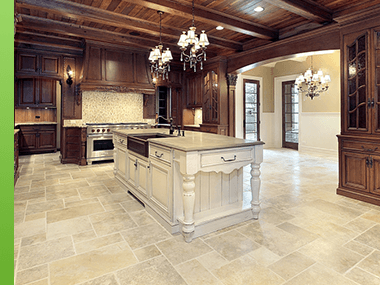 Connect with the team at Steam Master Cleaning and Restoration to learn more about our tile and grout cleaning services. Our goal is to remove all mildew, dirt, and stains that are trapped deep in your grout’s pores. During your appointment, we take our time to inspect your tile and grout, performing a treatment that will work best for you. We have worked with a variety of different tiles, coming in contact with all different surface types. You can trust us to provide you with an effective tile and grout cleaning solution for you. At Steam Master Cleaning and Restoration, we have the years of experience and the high-end equipment to effectively clean your tile and grout, leaving you with floors that shine. Using the latest steam cleaning techniques, we can bring your tile floors back to life. Do not let your home’s beauty diminish because of your floors. Contact us today!